Florian Idenburg is an internationally renowned architect with two decades of professional experience. He founded SO–IL in 2008 together with Jing Liu. Idenburg’s practice is collaborative; he believes that innovation is only possible through working together. He has a particularly strong background in cultural spaces, overseeing projects from a temporary installation in MoMA PS1’s courtyard, called Pole Dance, to the recently completed Manetti Shrem Museum of Art at UC Davis. He combines a pragmatic approach with a theoretical drive, sharing this creative spirit with clients, collaborators, and students. A frequent speaker at institutions around the world, he is Associate Professor of Practice at Harvard University and has previously taught at MIT, Columbia and Princeton University. His current research investigates the future of workspaces, and he is developing a forthcoming publication on this topic. Jing Liu cofounded SO–IL with Florian Idenburg in 2008, emphasizing mission-driven cultural projects as an integral part of the urban fabric. Through building practice and interdisciplinary research projects, Liu has led SO–IL to explore new fabrication methods — as in the Kukje gallery and CTF Museum — and engage with the sociopolitical issues of contemporary cities — in projects like the Artists Loft North Omaha and Frieze Art Fair. Her perspective extends outside the conventional architectural platform, with artist collaborations including Janaina Tschape; curatorial leadership at the London Design Museum, the Guggenheim, and CCA; and written essays. A native of China, Liu received her education in China, Japan, the United Kingdom, and the United States. Liu is Adjunct Associate Professor at the Graduate School of Architecture, Planning and Preservation at Columbia University, and has been a frequent lecturer and visiting chair at academic institutions around the world. Ilias Papageorgiou has been a part of SO–IL since its inception in 2008, becoming partner in 2013. Papageorgiou’s work explores architecture’s role in long-term urban transformations, from the forces of tourism to the natural environment. He has led SO–IL projects including the Place Mazas development in Paris; a glass museum and cultural center in Meisenthal, France; and the temporary housing installation Breathe. He was also a fellow of New Museum’s Ideas City in Athens. Ilias is a frequent lecturer at universities including the Architectural Association in London and Patras University in Greece. He is currently teaching design studios at Columbia University’s GSAPP, and often returns to Greece for research and work. Ted joined the office in 2011 and since then has had a leading role in the design and implementation of several of the most prominent projects of the office. 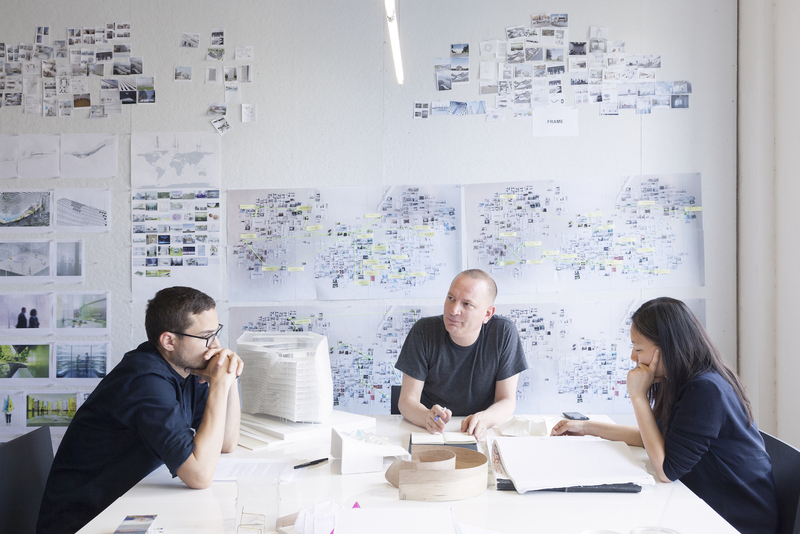 He has overseen projects including the design of the Benetton flagship store in New York, the tiNY micro-unit competition, IDEO offices and an installation for the Shenzhen Biennial. Ted holds a Master of Architecture from Harvard University. Since 2011 Danny has been involved in the design and delivery of multiple projects including Wulpen’s community center, Logan offices, and the Jan Shrem and Maria Manetti Shrem Museum of Art. Danny holds a Bachelor of Architecture from the University of Illinois.